M.A.C Makeup Artists were appearing backstage at this years V Festival in Chelmsford to create a number of different on Trend festival looks for celebrities and festival goers. 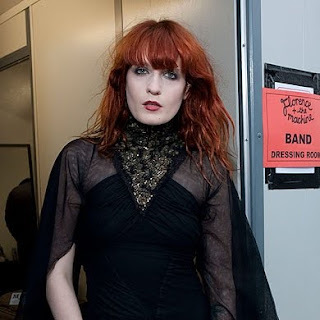 M.A.C artists created a subtle gold and black smokey eye look with red lips for Flame-haired Florence Welch. 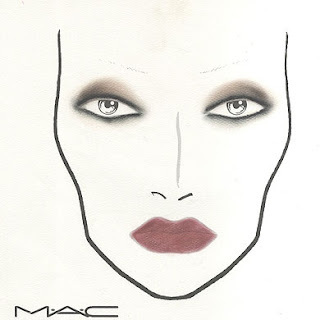 Taking inspiration from her choice of outfit - a sheer black, gold embellished dress, M.A.C gold glitter was applied all over the eyelids, with M.A.C Black Smoulder Eyeliner smudged around her waterline, and was finished off with her signature deep red lips using M.A.C's Longwear Lipstick in Prolong. Her foundation choice was M.A.C's Face and Body using a mix of Shade 'N1' and 'White' to create a pale face. What do you think of Florence's makeup?